We take stock of the telecom regulator's stand on CDMA auctions, and reflect on how it could derail the future spectrum auctions. Also, what is the current need of the telecom industry. As expected, the CDMA spectrum auction has emerged as a bone of contention between the Telecom Regulatory Authority of India (TRAI) and Department of Telecommunications (DoT). The regulator has declined to work out a pricing mechanism in 15 days for the 800MHz spectrum – a move that has raised apprehensions over the success of forthcoming auctions, especially for the CDMA segment. In a letter to the telecom department, TRAI Chairman Rajeev Agrawal said the regulator has already provided its views on the matter, and that the DoT needs to send a new reference for 800 MHz spectrum pricing mechanism. The regulator also slammed the telecom department for setting a deadline to provide recommendations within 15 days. "There is no provision in the TRAI Act which enables the stipulation of time limits. There is also no provision which allows for a preference on time limits to be indicated by DoT... Hence, it is clearly not appropriate for DoT to presume that it can suggest a time limit, even as a preference" TRAI said in its letter to the DoT. The regulator has maintained that selling 800MHz spectrum at lower rates would be a 'mistake' for the government. TRAI Chairman Rahul Khullar had told Business Standard that last auction saw only one player coming to the CDMA auction and the Tatas returned some spectrum, it was evident no one was interested in the auctions. 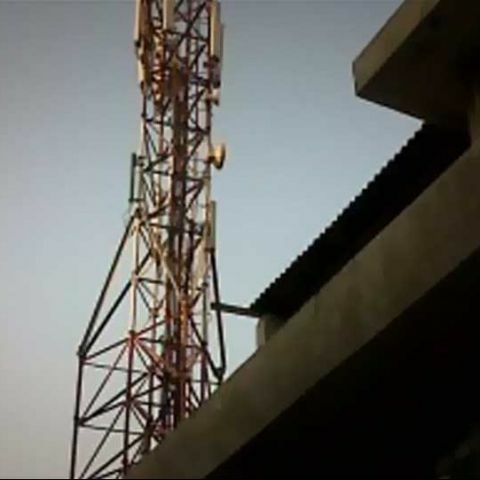 The DoT, however, told the regulator that E-GSM band needs vacation of spectrum by the Defence Ministry, which is likely to take some time and holding unsold spectrum in the 800 MHz band would cause loss of revenues for the government. Industry analysts believe the regulator's stand is not entirely without merit, considering CDMA services are not expanding in any significant way. But, it should provide an opportunity to the companies. “...TRAI or any regulator would be picking winnners and losers in the market, if they were to oppose the auction on these grounds. I think technology neutrality requires that 800 spectrum is auctioned for use of any approved technology. It is also important that it is treated identically to 900 MHz with which it shares all significant properties relevant to the telecom sector,” says Mr. Mahesh Uppal, Director at Com First (India) Pvt Ltd, a company that specialises in telecom policy and regulation. The analyst is of the opinion the regulator's move will not have any immediate on the incumbent CDMA players. “CDMA players have yet to use up their allotted spectrum. So they will not be hurt immediately. However, they seem keen not to forgo use of 800 MHz spectrum in future,” points out Mr. Uppal. CDMA players such as SSTL has already slammed the regulator's stand on CDMA spectrum auction. “SSTL has consistently maintained that it does not agree with the recommendations of TRAI specific to the 800 MHz spectrum band. The said recommendations have effectively blocked SSTL’s future growth path in India both in terms of expanding within its existing 9 circles and to other circles,” says the company in a statement. “It... goes against the spirit of providing a level playing field to India’s only pure play CDMA operator,” adds the statement. That said, the back-and-forth over the spectrum policy and pricing mechanism is certainly going to send a very negative signal to the industry, which has been demanding simpler and more transparent allocations. “...If the government wants more profits from spectrum auction, it should not punish operators that are buying more spectrum because they've more customers and are more successful in the market,” he added. As said before, the TRAI stand is not entirely without merit. But, the regulator and other related government bodies should help expedite the spectrum sales process, which will give the telecom industry a clear roadmap for the coming future. With plateauing growth in voice and VAS segments, there's a dire need to refresh the approach to the market as well as end users. The current state of ambiguity in the industry has evidently made the operators/players reluctant to make major investments and experiment with new strategies – ultimately depriving customers from new, perhaps more improved, services.